It’s a sad day for the world of electronics and Hip-Hop. It has been reported that Monster Cable will no longer be pairing with Dr. Dre after this year is over; apparently, the people at Monster Cable don’t think that they are getting enough return on their investment. From the figures I’ve read, Beats accounted for 53% of the headphone market in 2011; I can honestly say that I purchased a pair of the ear buds in 2011, and I will never think of headphones the same. According to Jimmy Iovine, the split is mutual, and the whole plan all along was to have a five year contract. Maybe since Dr. Dre is going to lose one form of cash flow, he might actually think about putting out Detox next year… I can’t believe I actually said that; we all know Detox is coming out in 2049. 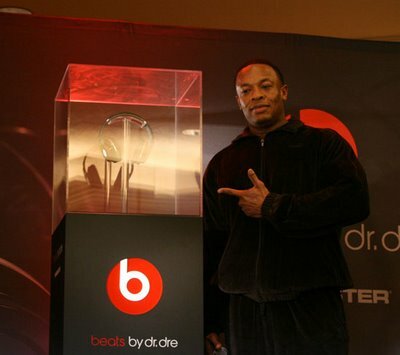 This entry was posted on Friday, January 13, 2012 at 7:40 pm and is filed under News with tags Dr. Dre, Electronics, Hip-Hop, Jimmy Iovine, Monster Cable. You can follow any responses to this entry through the RSS 2.0 feed. You can leave a response, or trackback from your own site.